Madonna has sung powerfully about being a material girl, her rich Hollywood lifestyle and living the American dream, always underpinned with a haunting search for values beyond wealth. It comes as no surprise to find this tale's evocatively named central protagonist, the merchant Lotsa de Casha, embarking on a quest to find happiness beyond his abundant material goods: 'No matter how many grand castles, fast horses or fancy carriages he bought, he was still a gloomy old sourpuss.' This animal fable for modern times follows a familiar path as the merchant sets out on a quest to find true happiness, scorns advice, gets his comeuppance, finds a friend and mentor, and finally secures earthly contentment and wisdom. Yet the well written narrative avoids clichŽ, creates a number of original cameos and bounces along with humour and lively dialogue, clearly influenced by the author's Italian New York background. Lest the young reader misses the unfolding morals of the story, fact scrolls punctuate the text, from 'When you tell people the truth, they usually slam the door in your face' to 'When you learn to share, you will not only find happiness. You will also find a friend.' Rui Paes is a Portuguese artist, with a background in murlas and designs for the theatre, and this is his first illustrated children's book. The bold, highly colourful pictures of the animal characters, their exquisite clothes and the exuberant landscapes they inhabit will engage readers of all ages. The impish, quizzical detail in the animals' faces is particularly striking and does much to carry the upbeat mood of the narrative. The interweaving of words and images, replete with scrolls, borders and flourishes, is similarly eye-catching. 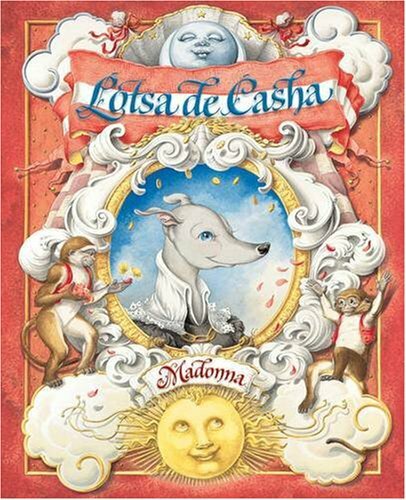 As a coffee-table book from a celebrity, Lotsa de Casha will find an easy market. In its own right, it is a first-class picture book to grace any library.